Have you been fed up with Black/White LCD screen? Do you want to try a colorful one? DFRobot I2C 16x2 Arduino LCD with RGB Backlight Display module will bring you a new experience about screen. It comes with RGB full color backlight, which has 16 million kinds of color. Usually, Arduino LCD display projects will run out of pin resources easily, especially with Arduino Uno. And it is also very complicated with the wire soldering and connection. 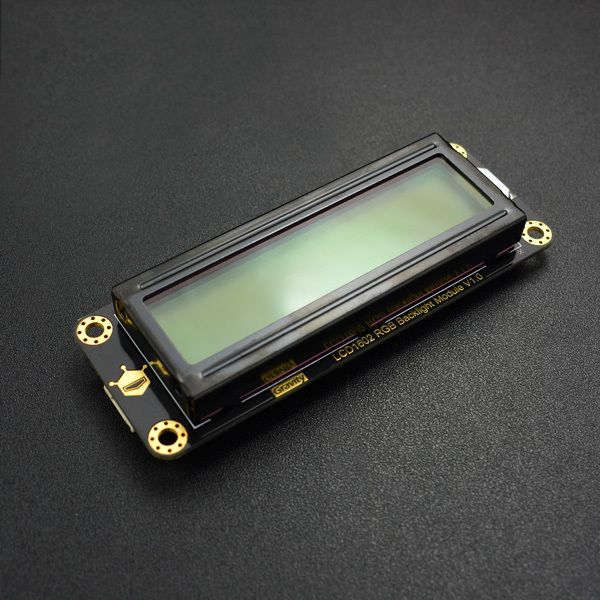 This I2C 16x2 LCD Screen is using an I2C communication interface. It means it only needs 4 pins for the LCD display: VCC, GND, SDA, SCL. It will saves at least 4 digital / analog pins on Arduino. And Gravity interface make it easier to use with our Gravity: IO expansion shield. In this section, we 'll demonstrate a fade effect with different color. * @n This example Set the volume size and play music snippet. 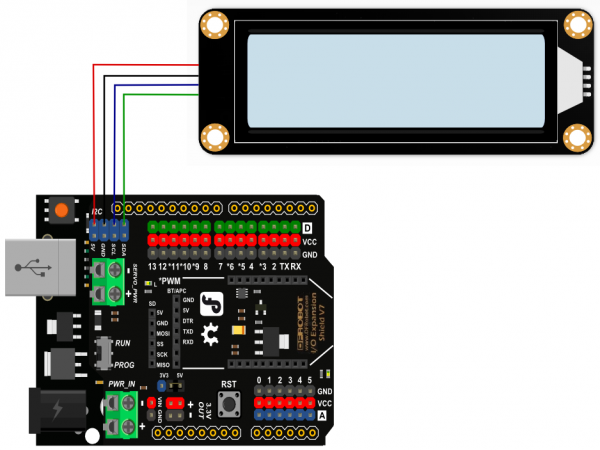 Get Gravity: I2C 16x2 Arduino LCD with RGB Backlight Display from DFRobot Store or DFRobot Distributor.